Sony has introduced two new products to the Kenyan market, as part of its on-going strategy to cement its position as the leading global consumer electronics and entertainment brand. Adding to its range of home entertainment products Sony has launched a new Home Cinema System, the BDV-N9900SH, which features the revolutionary ‘Football Mode.’ With this new feature Sony is set to provide home owners with an authentic cinema and sports experience in the comfort of their own homes, by bringing the excitement of a big match directly to customers through an entertainment system that uses acoustic data captured at an international stadium to immerse customers in the action. Football Mode allows one to mute the commentator at the touch of a button, and also enhances enjoyment of other sports like rugby, tennis or motorsport. The modern design of the BDV-N9900SH is inspired by the cut-glass edges and gleaming facets of rock crystal, instantly adding presence to any living space and giving it a sense of refined, understated style. Its confidently sculpted lines echo the “Sense of Quartz” styling that’s signature to this year’s BRAVIA range of 4K and LED TVs. Other than having the ability to provide premium sound quality and easy connectivity with other devices at home, the N-series home cinema system is complemented by 4K up-scaling capabilities, making a night in front of the TV feel like a trip to the movies. The N-series speaker units feature Sony’s revolutionary Magnetic Fluid Speaker technology by using an advanced Ferro-fluid material developed by NASA for its space programme. With this technology, the ground-breaking speakers are able to achieve more accurate, revealing sound – even at high volume levels. The latest Magnetic Fluid Speakers come with a new glass fibre woofer that enhances efficiency and reduces weight of the voice coil, diaphragm and edge. Techies will instantly notice the difference provided by detail-packed dialogue, clearer, cleaner music and rich focused bass all packed in lightweight design. With an option for floor-standing speakers with the BDV-N9900SH speakers, users can choose their ideal Home Cinema System according to their furniture arrangements or space capacities at home. The home cinema system also features Near Field Communication (NFC) and Bluetooth® capabilities, allowing users to touch their NFC- and Bluetooth®-enabled Android devices briefly against the Home Cinema System and instantly stream crystal-clear music wirelessly from their mobile devices for the perfect soundtrack to set the mood for the party or that romantic dinner for two. With Sony’s Digital Music Enhancer, Bluetooth® listening is enhanced with unique audio technologies that cleans up the sound and restore high frequencies lost in heavily-compressed music files. The built in Wi-Fi connectivity easily enables users to connect the home cinema systems to other home devices so they can enjoy streamed HD videos on their TV screens. The W8 series offers consumers Sony’s unique combination of technology and content services, delivering life-like picture quality and immersive audio. The series is created for viewers looking for an amazing high definition entertainment experience and utilizes Sony’s proprietary picture engine processor X-Reality PRO, which ensures the TV displays unprecedented detail and astonishing colour regardless of the content source. This picture engine processor also scales up any standard definition or low quality internet content, employing Motionflow XR™ for the best experience when viewing fast action scenes and gaming. In addition to that the W-series integrates a unique long duct speaker cabinet design. The long 1.2m speaker duct is cleverly folded into a compact unit that’s hidden neatly behind the TV screen. Though the speakers are hidden, the newly-designed speaker cabinet reproduces rich bass and lower midrange sounds, adding extra punch and depth to action movies, music and dialogue and producing the same bass extension as a much bigger speaker. All W-Series TV models include screen mirroring via Wi-Fi, with some models (W9, W8 and W7 Series) shipping with an NFC remote for a complete One-touch experience. Additionally, all three series are MHL-ready for wired mirroring capabilities. 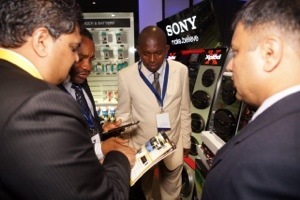 Just recently Sony unveiled its strategy for the African market, where it plans to double its market share to 1.4 billion USD by 2015 through an aggressive expansion campaign driven by new product launches, introduction of experiential Sony brand stores, and setting up authorized service centers in almost every country in Africa including Kenya. 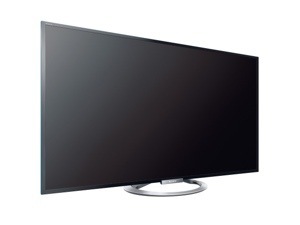 The BRAVIA W-series LED televisions and BDV-N9900SH Home Cinema System will be available in Kenya at Anisuma Traders Sony World outlets, supermarkets and all leading electronic outlets from end June 2013.